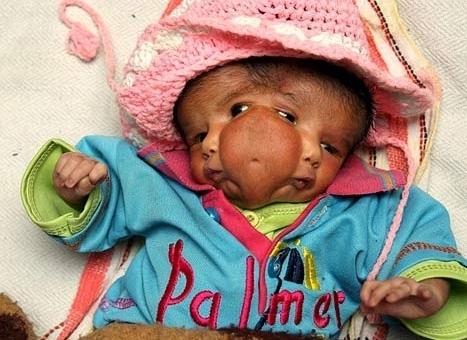 Perhaps you saw the news last week, but if not, here it is: a two-faced baby was recently born in India. The condition is known as craniofacial duplication or diprosopus. Apparently, the condition is not due to abnormal twinning, but rather a protein abnormality in the SHH (Sonic the Hedgehog) Protein that leads to facial features being duplicated. Interesting stuff, but again... why India? Why?